Yes indeed, let us begin. The time to come will roll in like a wave out of nowhere…a tidal wave. Crushing everything and all in its path if you don’t ride the wave as it comes for you. Drowning in it will be the only other option. This wave, as it hits shore, is designed to have the effect of shattering lives (as you’ve known them) in order to shatter illusions. A gift of clarity can emerge from this chaos if you allow it. And we’re wondering how many will truly be equipped to ride this out. Because riding it out will require giving up all you have previously known as the truth and replacing that emptiness with something else. We are hoping very much that enough of a paradigm shift will occur that takes each (or as many) recipients into a state of new awareness, of cleared vision and subsequently, of a great open-mindedness and open-heartedness, as it were. This way, imparting the new (yet, old) information about your world and it’s many facets of deceipt and illusion using you as fodder en route, will be that much easier to absorb and digest. It’s been a characteristic of your world to long hold onto lies and illusion in favour of any truths we or our messengers may bring to the contrary. All the more shocking and gob-smacking will it be for those who have ignored the ‘thumbs up ‘ repeatedly when it does arrive. We are not bothered with petty squabbling that is to enter your arena – along with the numerous infiltrators that will use the opportunities to try to gain an advantage over the many in their dazed state. But the Truth shall remain supreme and no attempts to bring it down will gain any traction in the long-term. When all is said and done our messengers will stand even mightier as the shining warriors of Light and Truth they are. The coming events and time are to be the opportunity of the millennia, if not several, for those who remain. We look forward to seeing what is made of these. 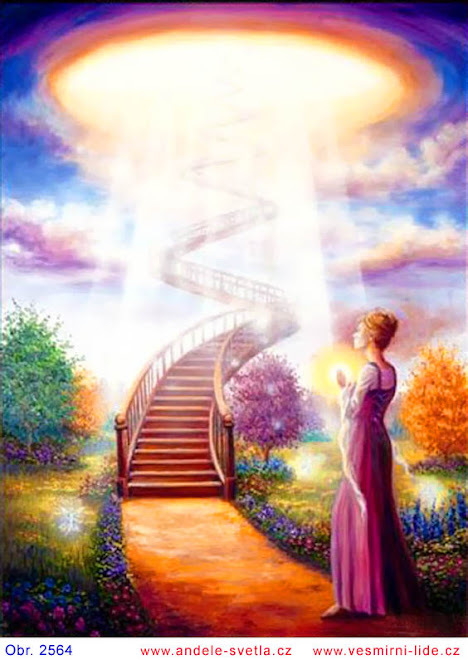 The most heart-stoppingly, incredible times of great unleashing of Light onto your planet and into your very beings (if you are amongst those prepared) is about to sweep you up in its path and carry you to a destination unknown.. .within yourselves. Truly this IS a time of Divine Grace. And what you will find when you arrive there will create a love so deep for everything, everyone and most importantly, yourselves, that your entire world will be turned inside out, along with your perspective. This is the Gift Of The Ages. That you might once again Know and embrace Yourselves Fully in physical embodiment. Indeed, a true Gift of the Divine. That is all for tonight. As you ponder these words know that your I AM presence IS standing by and ready to launch/ fully integrate within you. Peace be upon you All as you go about your lives. I’m paraphrasing – can’t remember exact, but these are her thoughts. The Darkies are desperate, furious and blame us, the Light Warriors, for their current predicament. And those (sensitive, Light warriors) perceiving that attacks on us have increased are completely correct. As the Darkies blame us for their pending demise, their first line of fire/major target is us right now. And extra reason for us all to ensure our personal protection and call on help at all times, day and night. The off-planet Dark are determined to destroy us. They will not succeed and we have been given extra means of protection by way of devices and extra ‘experts’ (etherically) with which to counter such attacks. 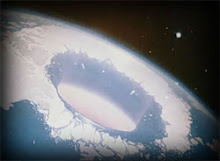 Once the off-planet Dark are removed entirely from their connection to those Darkies on planet and vice versa (SK: I saw some type of image of the cords/net between them being cut/dissolved), things will get even hotter (read: more desperate) for the Dark embodied ones here. As their own sustenance/ life force and that which maintains them will be under direct threat and perceived attack. P.S. The Dark off-planeters refers to the energy vampires/parasitic invisibles that hold up the matrix of fear and harvest energy off humans on earth. These are also the ones the embodied Darkies here have their allegiance to and make their deals with, whether they're conscious of it or not. “If you can cross the stepping stones without being distracted by what surrounds them, take the next steps without imbibing poisonous plants or flowers en route and stay steady on your course without falling by the wayside, you will, at the end of it, meet with a veritable 'Garden Of Eden'. These are the people I need at my side: the committed, devoted and determined amongst you”. There was more, but that's as much and as close to it that I can remember right now. Good evening beloved friends and family! It is with joy and pleasure I come to be with you once again. So many of us take circuitous routes in our lives. We take the long way around to getting someplace, when we could arrive at our destination in half the time, going the shorter, easier way. Very few take the short cuts on your planet, though they are always there. So much of your lives are complicated by your very own selves. As if a life choosing ease over suffering is a life devoid of purpose and growth. I am here to say this is far from true. Having said that, it has been the most growthful choice for you on the earth plane. So although you suffer, it does nonetheless have purpose. However, this is not what I wish to focus on this evening. I wish to speak of pressure and how to deal with it in trying circumstances. And particularly in the many potential ways you will be expected to respond to this in your interaction with others. What is pressure, where does it come from and how does it evolve? When you feel feel pressure within it is more often than not the buildup of energies in the emotional body that you have not been willing or able to identify and release. Or are so disconnected from this aspect of you that you don't even know at a conscious level it exists. At this stage of the game and the journey you're on, beloved friends, we would hope most of you reading here now will be sufficiently in connection with yourselves to understand the importance of recognizing discomforting emotions, feelings and moods for what they are. As it is these very emotional states that you will need to recognize and identify in others in order to help in the highest and best possible ways for them and their immediate next steps. Pressure is the ego mind's unwillingness to deal with such a buildup at the time necessary. As a result, it is carried through to various other life situations and interactions. This is where the danger lies. Many people are doing this all day, every day, as they go about their daily lives and rituals. However, you are the ones that are to reflect -by your own example and demonstration - the negative effects this has on others. And just how unacceptable it is in your new society to-be. Yet nobody can deal with anything until there is a conscious awareness that such a thing exists and can cause trouble in the life. For both the Self and others. How does it cause trouble? Energetic deflecting is getting rid of something uncomfortable you carry. It is , in effect, making your problems someone else's. As you are then loading them up with unwanted baggage, in addition to their own. Granted, they have been open to receiving it in the first instance. The problem with energetic housekeeping of this kind is almost always one of ownership or lack thereof. That is to say that ownership of that which lives within you unconsciously must be made conscious in order to progress. Dumping your state of pressure onto another is not a sovereign act. It is the opposite - one of a human that denies response-a-bility for him/herself. This is just one of many aspects of yourself that need integration within in order to express your total, authentic power. Psychologists of your world may refer to this energetic dumping on others as ‘projecting'. It matters not what you might call it. When you reclaim all of yourselves, you reclaim the good, the bad and the ugly all together. Nothing is to be left out or pass you by. As those elements which are, create open doorways for forces other than your own to enter and manipulate at this level of the ego mind. Where did this state originate and why? Where was I unboundaried that I allowed myself to get enmeshed into, receive and carry that unhelpful state around within me? Beloveds, understanding and practicing being your authentic Selves does require all of you be brought to the surface of your minds and hearts for examining and clearance to bring greater balance within. We hope this has been helpful on the subject to you. This is I, Sa-Ra, with much love to each and every one of you this day for your continued efforts to raise yourselves. Rememeber, every effort you makes does bear fruit - at some point in your journey. You are all loved beyond imagining. Bidding you farewell for now. This really speaks to me - as the subject of authenticity is paramount if we are to genuinely reach others in any meaningful way in the coming times of turbulence. May we all have the courage to stand firmly in our-Selves without self-imposed hindrances. "I’ve often seen the spiritual identity acting ‘authentic’. This happens when an ego/false self or shadow of the soul, knows exactly how authenticity ‘should’ look like and emulates it." Trinity Bourne. What does ‘being authentic’ mean? 'Authentic' is a descriptive and powerful word, deserving the space to breathe. So here I feel to shine a little light on the subject by sharing a perspective on what being authentic really means, perhaps even dispelling a few myths in the process. 'Authentic' means from the source or origin. Being authentic in a spiritual sense means 'as expressed directly from the source', through the soul. It is the raw, naked, unhindered expression of beingness of the soul. Authenticity is a quality of being. That’s why we say ‘being authentic’ not ‘doing authentic’. One of the easiest ways to observe authenticity is to notice creatures in nature: a hedgehog, a squirrel or a butterfly. They have no agenda other than to be ‘who they truly are’. They have an advantage over many humans, without the hindrance of an ego, showing us a great example of what it means to be authentic. Another great example would be a small child. There is often a time in a child’s life, before they are washed through with conditioning, fears and expectations, where they are free to simply be. They are real, liberated and authentic - for a while at least. People within indigenous cultures often exude authenticity - especially if they never lost their connection with the soul and the source. We see authenticity in people from all walks of life - people who are just really comfortable in their own skin. They feel real and natural. They say it ‘how it is’, yet with compassion and awareness. These are the people we trust in life - because they are real. You can’t ‘try’ to be authentic. You can’t train yourself or follow a technique to learn. You can however, self-realise and allow your layers of baggage to fall away. In so doing, authenticity will arise more and more as a divine expression of your being. Authenticity is all about the moment. It’s about now. It’s about presence. It’s not only seeing beyond the veil, but being beyond the veil and bringing that through to the experience of being human. Authenticity is what is left over when the mind steps out of the way and let’s the soul shine through. Authenticity is when you are being you, from the core. It may be that you can't be fully authentic because a distortion is coming through. You might feel an authentic impulse, that becomes distorted by a filter. In which case, you have the option to be real at least. Being as real as we can possibly be, distortions n'all is a powerful precursor to authenticity. This means we are able to see how we are not being authentic and peel away those layers - leading to authenticity. It’s acceptance of all our inner darkness - each of us have it - and not being afraid of what others may think of us. It’s not placating others, at the expense of being true to ourselves. It’s not showing others our likable traits in order that they accept us, because of fear of being rejected. It’s having the courage to be true to ourselves. It’s not a doctrine of spiritual correctness! Authenticity doesn’t mean that we always have to bare all either. Honesty doesn’t necessitate splurging everything out in a mighty torrent of emotion. It might mean that we have to be silent, to say nothing or that we are meant to contain our emotions; work with them ourselves, because it is not the right time to share. This is different to withholding because we are afraid of the consequences - but rather honouring what is divinely given in the moment. It may equally at times be totally in the flow to bare all, yet consciously, despite the perceived consequences. Being authentic means that we observe what is appropriate for each given moment. Our actions are not dictated to by conditioning, fears or expectations. Every moment is unique and cannot be predicted, nor can the outcome of our actions. Sometimes being authentic requires being the bearer of undesirable news. True compassion is finding the courage to do this because you know that it is the ‘right’ thing to do. Authenticity will determine exactly what is meant to be shared. It will determine exactly how the energy is given. Being authentic requires the courage to deliver. What get’s in the way of being authentic? It’s difficult to be authentic if you are living in fear of what other people think of you. It may be a natural expression of your soul to be considerate and kind to others, but if you adjust your behaviours to keep the peace or please others so that they’ll accept you, then you aren’t being authentic. Being authentic might mean that the relationship no longer serves either of you and you go separate ways - an essential step forward to make space for new, more suitable friends who meet us where we are at. It may equally mean that the relationship evolves and you both evolve to a new level of connection together. Who’s to say! When we live in fear, we don’t get to evolve, we just run around in circles, recreating the same suffering for ourselves. We don’t get to be the authentic us. When you live in fear of honouring your true expression, you create a dead feedback loop for your soul. Your energy is drained, because, energy that is not authentic can only ever be replenished by the mind or emotions (which are a limited resource) - whereas energy from the source is ever-present. Some people are highly sensitive and lose themselves when around others. It may be authentic to harmonise and align with others, but their own vibration gets drowned out. They can no longer hear the voice of their own soul. They are swept along by the strong current of other peoples energy, unable to find their own flow. It might feel like you have no choice, or that it’s just your configuration, that it's just the way it is - but there IS a choice. In personal relationships with family or at work, people often find that they’ve been categorised and labeled. People are typically hemmed in and related to by the people around them, by certain behaviours, traits, gifts and faults, with very little room for change. Every engagement with you will confirm their expectations as they subconsciously re-affirm them. I am incredibly blessed to live in a house where we respect one others constantly unfolding nature. We are continually evolving and growing, accepting change as a natural part of our evolution. A funny thing happened to me last month though, when I went to stay with my Mother. She’s a beautiful soul and very accepting of ‘me’, yet something from the old days slipped back in to highlight the incredible power of expectation - to keep me on my toes, I think! I had jet lag and was feeling a bit wobbly after traveling half way around the world and flipping my body clock upside down. I’d randomly bumped into the door frame as my spatial awareness went to pot, to which with a smile, my mother cheerfully said: "you’ve always been clumsy haven’t you". It threw me back momentarily. Have I always been clumsy? Something from my childhood perhaps. But is this really me? Something didn’t feel quite right, yet my reality was being presented to me under no uncertain terms. I sat with the notion, paused for a while and then replied... “actually, I haven’t really been clumsy for a long time now.” The truth is, I DID used to be clumsy though! At home I had a reputation for bumping into things. It was expected and reaffirmed light heartedly throughout my childhood. It was my reality. I even remember being given a mug with Mr Bump on it (Mr Bump is a sweet clumsy cartoon character, who bumps into things a lot, covered with bandages). I used to smile all the time too, I had many positive attributes, but I didn’t get ‘Miss Sunshine‘ - I got ‘Mr Bump’! So, I was clumsy. At the age of 26, it suddenly dawned on me that I had a choice. I didn’t feel at home here on earth. I was ethereal in nature and had little reason to be embodied, naturally living out of body, ungrounded, living in the ‘clouds’. Expectations of who we are, as projected by those around us, can silently bubble in the background without us realising it. We are all aware that if you tell a child he’s naughty enough times, eventually he’ll believe it - the same can be said for just about anything. When we become aware, we can do something about it. So, in my twenties, I stopped letting others determine my reality and over time became present, aware and you guessed it, embodied. The clumsiness (which was never ‘really’ me, but a tool of deeper self realisation) fell away almost instantly. This is quite common in the spiritual world. I’ve often seen the spiritual identity acting ‘authentic’. This happens when an ego/false self or shadow of the soul, knows exactly how authenticity ‘should’ look like and emulates it. This is one of the biggest pitfalls in the modern spiritual movement. The problem is that a spiritual identity emulating authenticity may carry a vibration that is closely aligned with the real thing - because a fragment of the soul is embedded. It always has a fabricated undertone though and from presence can be spotted a mile off. Of course, it’s common that when people realise they are ‘people pleasing’, ‘trapped by expectations’ or ‘washed through with other peoples energy’, the spiritual identity can then swing in completely the opposite direction, in a valiant effort to rebalance and make up for lost time. So I have seen people pleasers become incredibly selfish. I have witnessed people who have been brain washed or hurt in some way, reject just about anything with authority. People liberated from being trapped by others expectations also run the risk of becoming thwarted by a false sense of self empowerment. Beware of over compensating with stubbornness! It’s understandable, but not authentic. It can be useful to swing the other way for a short while, to feel the polarity of the distortion. It can help to shake off the distorted behaviours. Although why replace one distortion with another? The wonderful thing is that authenticity is our natural state of being. It is boundless. It's the return to who we truly are. Our soul will, one way or another, always urge us back to our true and authentic origins. If we can allow anything that is not us, simply to fall away, we can be who we are divinely given to be. Once we realise, we need not wait a moment longer.